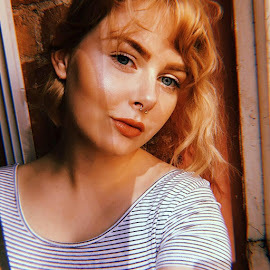 In warm weather I find it difficult to maintain an OK fringe throughout the day and although it isn't technically summer anymore there are still some very warm days where I'm out and about and busy and need to keep my hair out of my face! I don't particularly like to crape my hair back because I feel like I end up looking like an egg and since everyone's going back to school I'm being reminded of the various different hairstyles I wore throughout my Primary and High School days (A lot of them were ridiculous!) 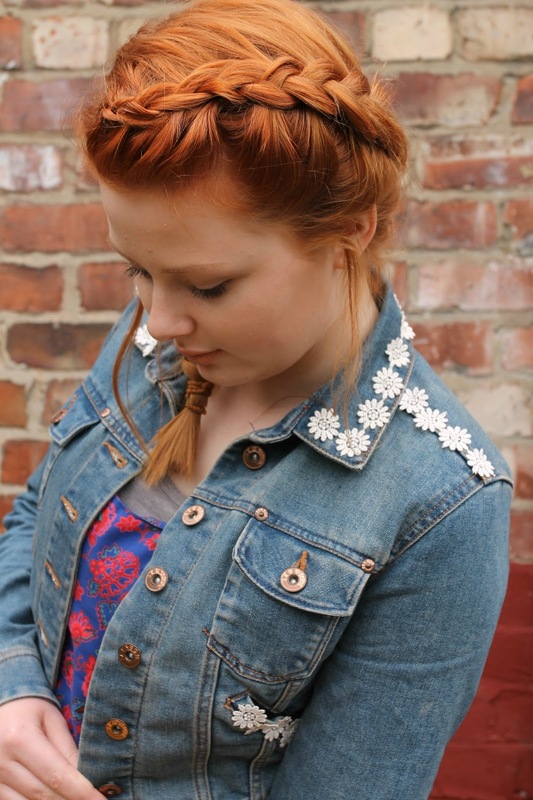 and recreating them in my hair now. I don't remember ever doing exactly this with my hair but I do know I used to plait my hair a million and one different ways and a new way of doing so is not something I'll ever pass up on! I really loved how messy this was and how loose it felt though it did stay in perfectly all day without me having to fix it at all (these photos were taken at about 5pm and I'd had this braid in since at least 8am! 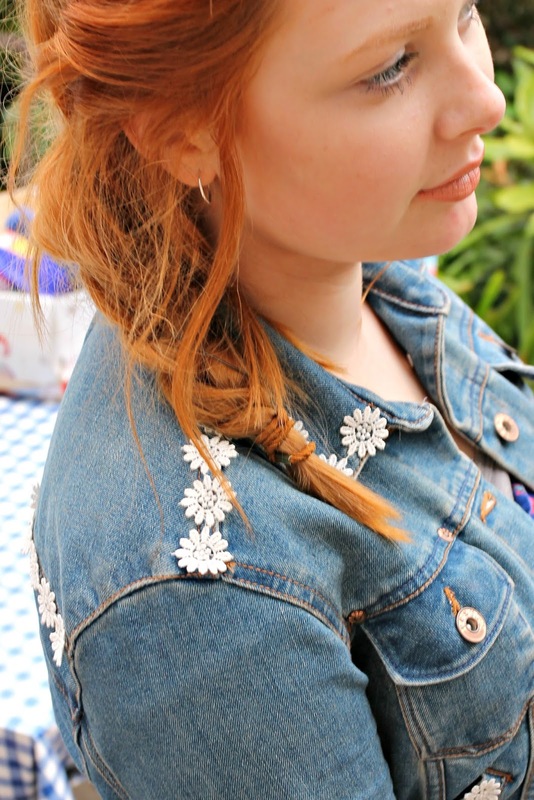 ), French and Dutch braids are definitely the solution to keeping my fringe back for busy days and I just think you can wear them so many different ways and they look so autumnal and pretty! 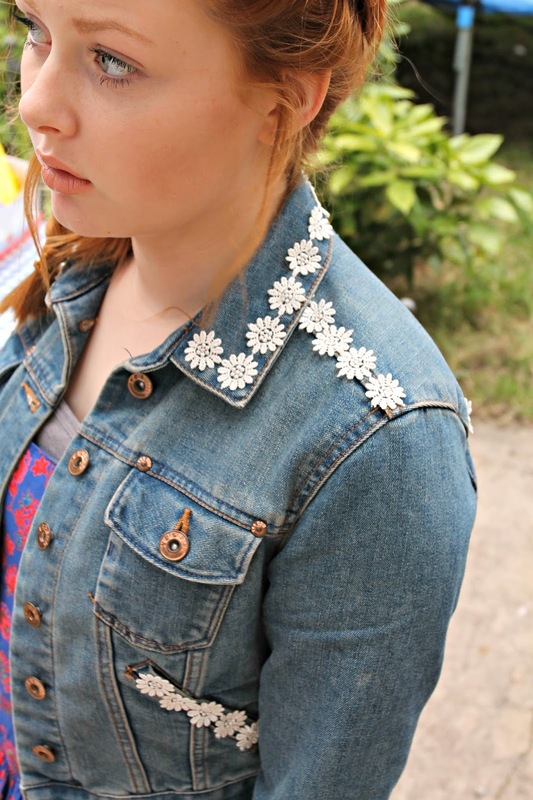 I also upcycled this cropped Denim Jacket from newlook that I've had for years by adding a daisy trim to the collar pockets and shoulder and back seams just because I thought it would look adorable as well as having taken inspiration from a Denim Jacket my mum decorated very similarly for me when I was 1. I was a very well dressed child most of the time and looking through photo albums now I wish a lot of the clothes had grown with me because they were just adorable and still very me. 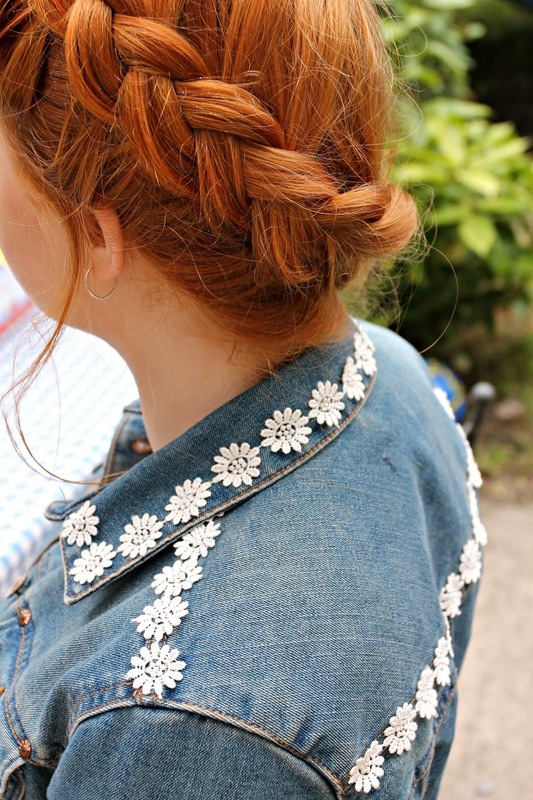 Love the braid with the denim - you look stunning.